I have an EASY math center for you today! Yes, it is perfect for the whole month of February or really any time of year! I found these foam hearts from Target a few years back, but I am sure you could find them anywhere this time of year. I wrote a number and the matching number of hearts. Your kiddos can count and put different objects on each hear to match that number. 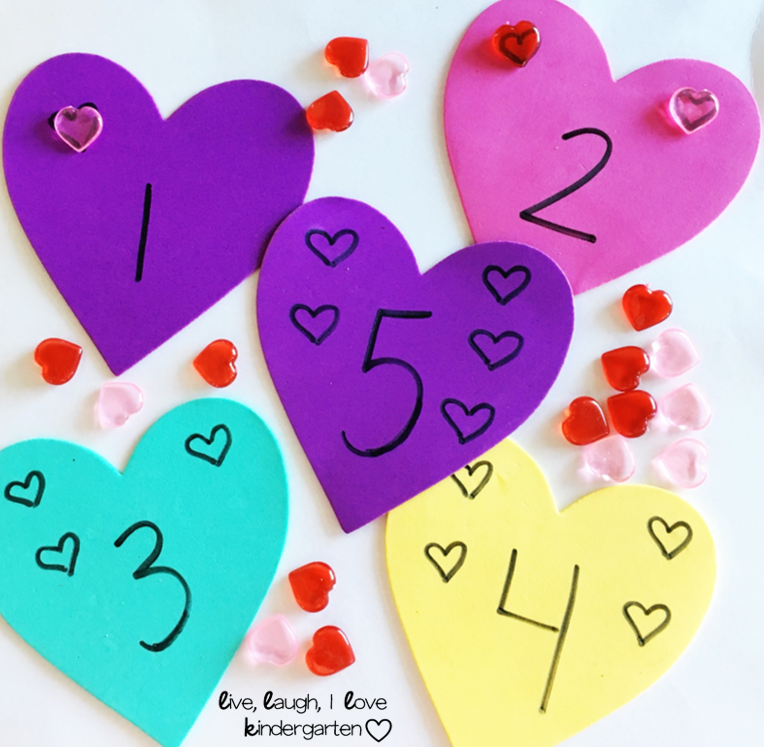 For more of a challenge, you can have your kiddos pick two hearts and add them together!